A Dutch judge has released three former employees of a local firm who were arrested over suspected laundering of $1.2 billion through over-invoicing services and works rendered for a gas pipeline built by a unit controlled by billionaire Mukesh Ambani. While East West Pipeline (EWPL) — previously known as Reliance Gas Transportation Infrastructure — vehemently denied all allegations, Dutch publication Cobouw reported that the three suspect were released on Friday after three days. Cobouw, which has been published since 1850, said the lawyers of the three suspect stated that the magistrate decided that they are no longer required to be detained for questioning. EWPL denied that any money was laundered at any stage during implementation of the project and that higher capital cost of a pipeline would result in higher tariff for users for receiving natural gas through the line. 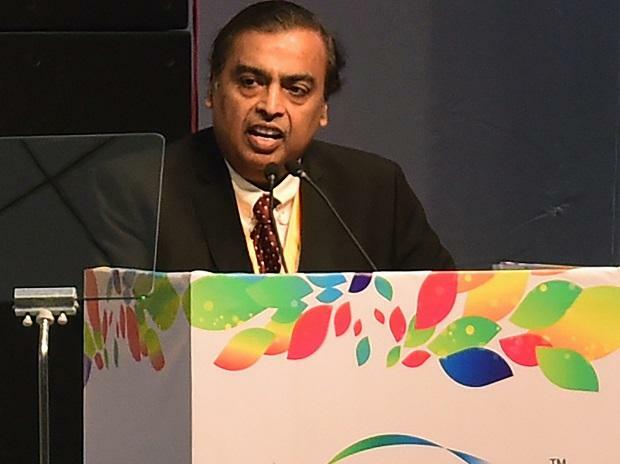 Ambani’s listed firm Reliance Industries too denied any link to the pipeline firm saying he neither set up any gas pipeline in 2006 nor did it have contracts with any The Netherlands firm for any gas line. The Fiscal Intelligence and Investigation Service and Economic Investigation Service had arrested three former employees of Dutch pipeline firm A Hak, NL, alleging that $1.2 in profits earned by the company through over-invoicing services and works rendered to RGTL were “creamed off” to Singapore-based Biometrix Marketing, a company they claim is allegedly linked to Reliance. An AFP report quoting a statement issued by public prosecutor's office said that the company acted as "invoice duplicator" to enable the Indian firm to claim costs twice from gas customers. ? "The 'profits' earned in this way were subsequently creamed off via the Dutch company," it said. The gains were then transferred via a complex web of businesses based among others in Dubai, Switzerland and the Caribbean, before eventually ending up at a business owned by the Indian company in Singapore, AFP said adding the suspects allegedly received payments of up to $10 million for their involvement. Reached for comments, EWPL said the pipeline project was built by a privately owned entity, in which promoters' private funds were invested. "East West Pipeline project was implemented in full compliance with all rules, regulations and applicable laws. All applicable taxes and duties have been duly paid," it said adding that EWPL had no branches or subsidiaries outside India including Singapore. The pipeline project, it said, was implemented by a consortium of independent contractors from India, China, Russia and the Middle East. "A Hak, Middle East was one of the contractors. The Project was completed expeditiously at globally competitive costs which have been benchmarked by reputed independent agencies." EWPL said that the suggestion that a higher capital cost would result in higher tariff is "wrong" and "not in line with the applicable tariff regulations in India". "According to the tariff regulations, the cost of fixed assets to be reckoned for the purpose of transportation tariff is lower of actual cost or the cost normatively assessed by the statutory authority, Petroleum and Natural Gas Regulatory Board (PNGRB). Tariff has been approved for the East West Pipeline on the basis of normative cost determined by PNGRB by employing professional consultants which is evident from the tariff order dated 19th April 2010. Hence, the actual cost of setting up the East West Pipeline is not relevant for fixing the transportation tariff," EWPL's statement said. ? "As a matter of policy and good governance, at all times we have cooperated with the statutory authorities and will continue to do so. It is clear from the media reports that the investigation has proceeded on assumptions and presumptions without factual basis. We once again strongly deny suggestions of any impropriety," EWPL said. In a statement, RIL said neither it nor any of its subsidiaries set up any gas pipeline in 2006. Also, it never had any contracts with any Netherland company for setting up of any gas pipeline and hence the report cannot relate to RIL. "RIL has always complied with all rules, regulations and applicable laws and any suggestion of impropriety by RIL is emphatically denied." Last month, Canadian investor Brookfield-led India Infrastructure Trust (InVIT) agreed to pay Rs 13,000 crore to buy the loss-making East-West gas pipeline that transports Mukesh Ambani-run Reliance Industries Ltd's eastern offshore KG-D6 gas from east coast to customers in the west.